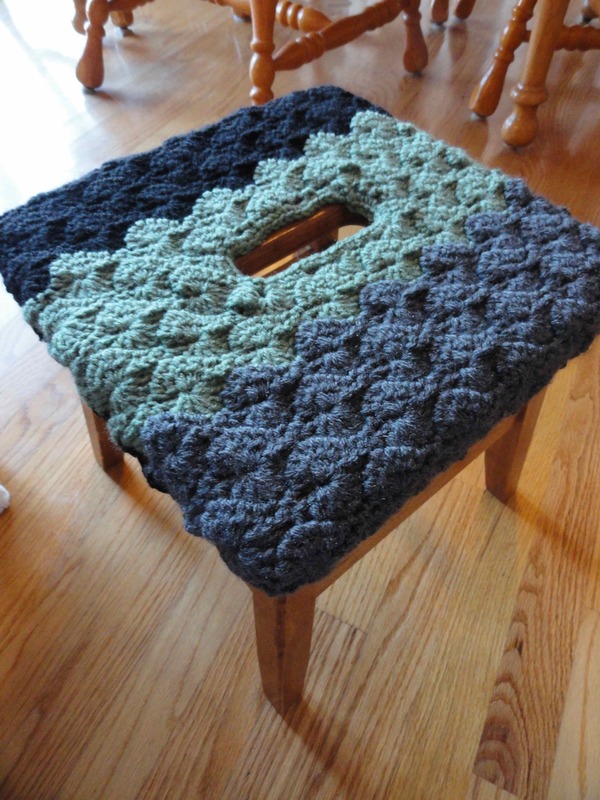 Martha needed a cover for her kitchen stool. I made her stool cool. That looks great! What a great idea! Oooo, such a brilliant idea! How adorable! Cool colours! Looks really pleasing! Thanks, now that Martha’s is all dolled up, I have 2 (or 4, or more) that I need to gussy up too! I did a long chain and threaded it through the edges to cinch it down. Your are a good-idea-girl too, so let me know if you come up with a better way 🙂 Hugs to you too! You most certainly did, totally COOL!!!! Do you sell this pattern?